Our kids achieve amazing things every day and we take enormous pride in celebrating their outstanding success. 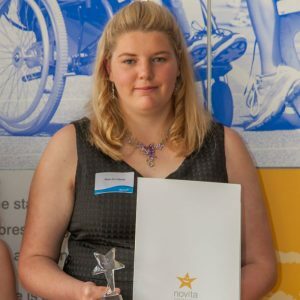 Each year, Novita presents a number of clients with awards to acknowledge their extraordinary achievements. The President’s Achievement Award is presented to a Novita client who lives with physical disability and has made outstanding progress in their rehabilitation. 10 year old Angus lives with his parents and two older siblings in Port Lincoln. He loves being part of the community, staying active and playing sports, including tennis and hockey. Angus lives with cerebral palsy, which affects the right side of his body. 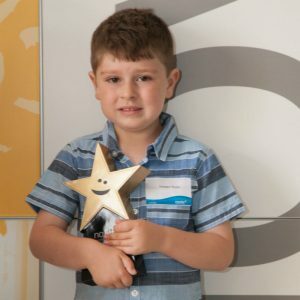 He has been selected for this prestigious Novita Award because he has shown incredible tenacity, persistence, perseverance and courage throughout the past year. He has had regular serial casting and Botox to support his limbs, even though he doesn’t like it and it stopped him from doing some of the activities he enjoys. Unfortunately, despite these treatments, Angus needs to have surgery and continue wearing his AFO to support his lower limb and gross motor skills. Angus is also achieving well academically, even though he sometimes has trouble writing at school because of his limb. 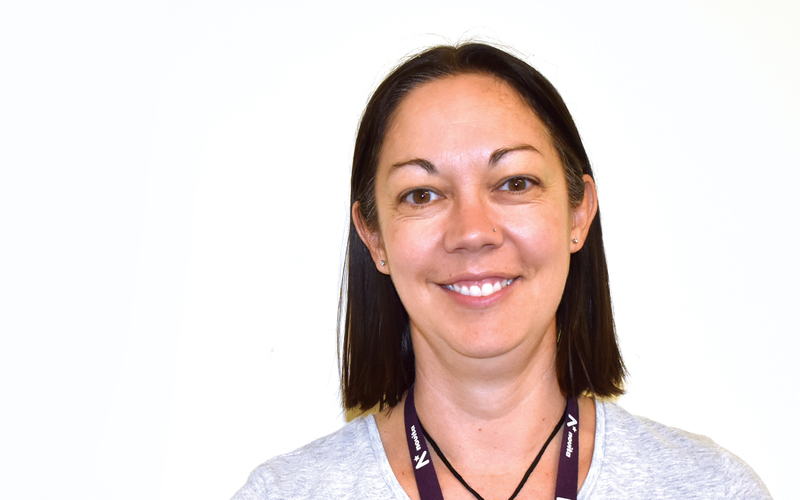 The Carol Dibben Encouragement Award is presented in memory of Carol Dibben, a former client and long-term employee of Novita, to recognise a senior student who has worked diligently to achieve their personal goals. 14 year old Sophie loves Girl Scouts and sport, especially swimming. Sophie lives with congenital myotonic muscular dystrophy, which affects Sophie’s body in a variety of ways and can make everyday tasks more difficult and exhausting. She was also born with club feet and wears supportive devices which help her to walk. 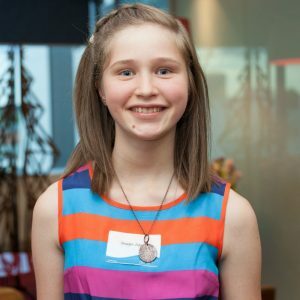 Sophie recently broke the Australian record for the 13 year old girls’ 50 metres freestyle S7 at the Georgina Hope Foundation Australian Age Championships in Adelaide this year. She has also represented South Australia four years in a row at the National Championships and holds numerous State records. In 2016 Sophie won four medals at the South Australian Short Course State Championships and broke the South Australian 200 metre freestyle S7 open record. 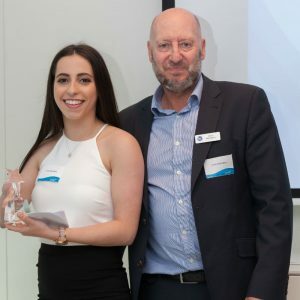 Sophie has worked diligently to achieve her personal goal of being a successful swimmer and has been named on Swimming Australia’s ‘emerging talent’ para list. The Michael Wooley Recreational and Sporting Achievement Award is presented in memory of Michael Wooley, a past client, Board Member and Honorary Life Member who had a passion for sport, to a Novita client who has shown determination to achieve in a sporting or recreational capacity. 15 year old Brodie has always had a passion for sport and takes every opportunity to play. Brodie lives with cerebral palsy which limits his mobility and he needs to use a wheelchair for long distances. Brodie plays tennis, athletics, soccer, cricket, Boccia, swimming and basketball, but his favourite sport is AFL. He loves watching his twin brother play footy for the local Tanunda club and has used his passion and skills in game analysis to be the team motivator, statistician, game analyser and play selector for the past three years. 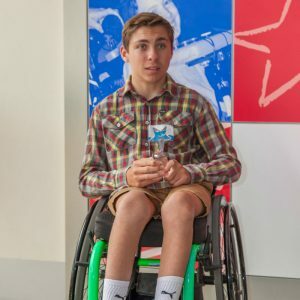 Brodie recently discovered Wheelchair Football and was selected to represent SA at the inaugural Wheelchair Aussie Rules National Championships. Although he was the youngest and smallest player, his knowledge of the game contributed to him being named Captain. Brodie’s team won the title match to become the National Champions, and Brodie was awarded Best Forward in Nationals! The Communication Achievement Award acknowledges a Novita client who has overcome considerable personal or environmental barriers to make significant progress in their communication, which has led to greater community participation and the creation of new circles of communication partners. 18 year old Olivia is in her final year of school at Wirreanda High. She loves socialising and goes to Novita’s movie club where she has made many new friends. 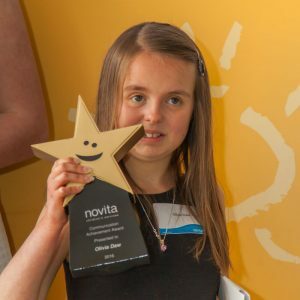 Olivia lives with dyspraxia, which affects her ability to plan the movements required for speech – but this has never discouraged her from getting her message across and making herself heard. 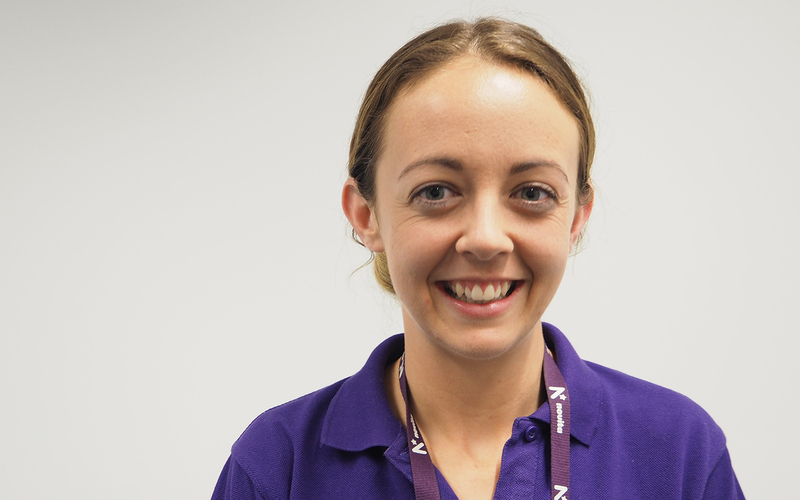 She has shown sheer determination to ensure she can communicate effectively with her family, friends and the community. She has developed communication skills using a range of strategies, including key word signs, picture symbols, PODD communication books and more. 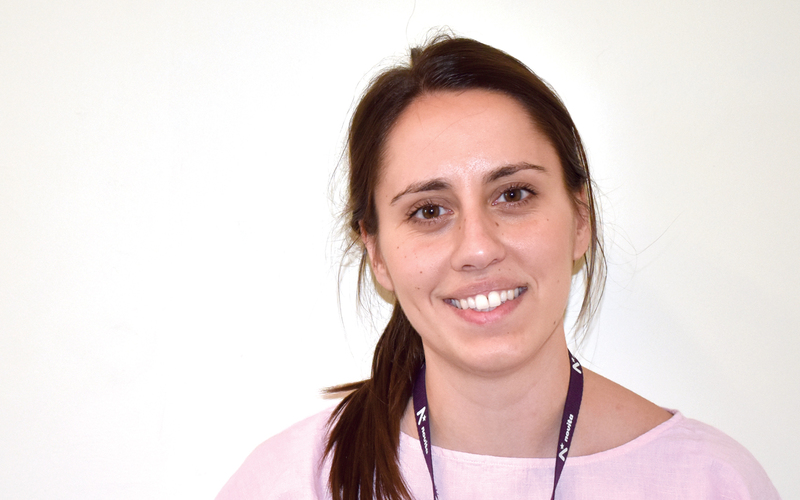 Olivia has dedicated a lot of time to developing her speech intelligibility, undertaking extensive speech pathology using a core vocabulary therapy approach to achieve consistency in how she speaks. Olivia can now say more than 200 words. Olivia has also improved her literacy skills and uses these to spell out words on her iPod to communicate instantly with people around her. This Award is in honour of Margory Head, a person who spent over 40 years of her life dedicated to improving the lives of children with disabilities within regional South Australia. 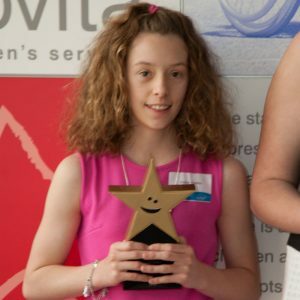 The Margory Head Achievement Award acknowledges a regional Novita client aged 12 to 18, who has overcome significant challenges to be able to achieve their personal goals in order to participate fully in their community. 16 year old Bree-Ann Neal lives with her parents and brother Brayden in Port Lincoln. Bree-Ann acquired a brain injury shortly after she was born, and has trouble with her memory and concentration. She has not let her disability prevent her from achieving her dreams and has actively engaged in therapy to reach her goals. Bree-Ann goes to her local mainstream high school where she has many friends and enjoys the curriculum. She loves art and uses it as a way to express her thoughts and emotions. Bree-Ann also loves animals and spending time with her Dad collecting grain during harvesting. In her spare time, Bree-Ann volunteers at a local respite agency that provides support to kids living with disability. She loves being able to give back to the community that has always supported her. The Pauline McGregor Award commemorates the dedication and commitment of the late Pauline McGregor, a former Novita staff member who made a lasting contribution to the area of early intervention. 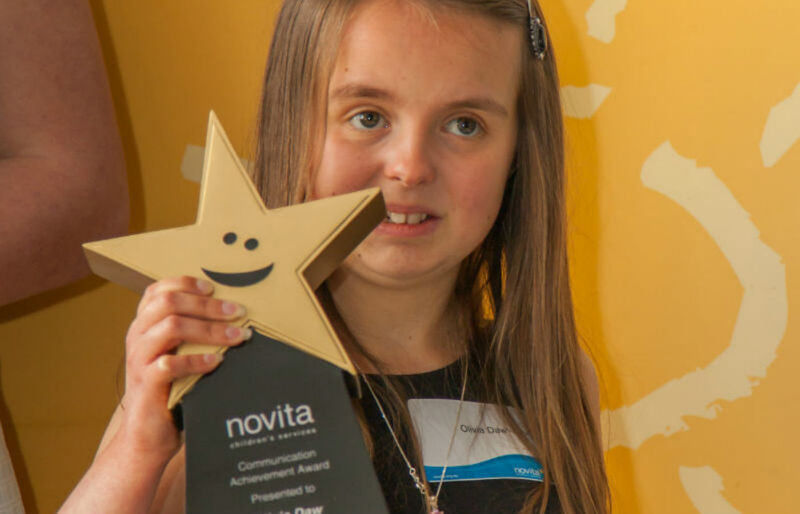 The award recognises the outstanding achievements of a Novita client under the age of eight. Five year old Vincent Wass lives with global developmental delay, which includes difficulties across various areas of development including sensory processing. When Vincent started at Novita he was shy, withdrawn and overwhelmed, and had difficulty engaging in therapy. Nowadays Vincent is described by his therapists as a vibrant young boy, bursting with energy to share his experiences. Vincent has worked extremely hard to increase the variety of food he eats, including healthy snacks for school. To achieve this goal he attends fortnightly OT and Speech Therapy sessions to explore new foods in a fun way. Vincent has also worked on identifying letters and writing his name, and can now form all letters of the alphabet in both upper and lower case. Vincent is also forging ahead in his speech pathology sessions and can pronounce longer and more complex works with great clarity. This award is in memory of Graham Nancarrow, who was a member of Novita’s long-serving Achieving for Children Auxiliary, and one of Novita’s most generous benefactors. The award is presented to a client aged five to ten, who has worked to develop a specific new skill. 10 year old Zaschka is a motivated young girl who doesn’t let her disability stop her. Zashka lives with cerebral palsy. She loves sport, particularly cricket, and has been involved in the Winter Para Athletics program this year. She has always wanted to jump rope with her friends at school but it’s been a very tricky activity for her to master. Zashka identified skipping rope as her goal in a Novita research program for a walking aid called WalkAide. Zashka’s results showed gait improvements and a substantial increase in her advanced gross motor skills, as well as improvements in her physical activity and participation goals. At the start of the program, Zashka scored a 6 out of 10 for her skipping performance, and 5 out of 10 for her skipping satisfaction. After using the WalkAide, Zashka scored a perfect 10 out of 10 for her skipping and running performance, and satisfaction. Zashka now has the confidence to jump rope with her friends! The Minister’s Community Achievement Award is presented to an outstanding Novita ‘all-rounder’ who has demonstrated a commitment to personal independence and taking part in community activities. 12 year old Brooke lives with her parents and three younger siblings. Brooke lives with cerebral palsy which affects the right side of her body. She finds some self-care activities challenging, like getting dressed, and sports activities like running, hopping, balancing and jumping. Brooke is committed to gaining personal independence and can now tie up her hair, put on her orthotics, socks and shoes. She recently started rehab and has made outstanding progress improving her gait pattern, safety and independence. Brooke is recognised for her maturity by medical professionals and her family. She recently decided to undergo calf surgery and has been diligent about her post-surgery follow up and completing her exercises every day. Brooke is involved in her local community and enjoys performing in the Australian Girls Choir. She is motivated to learn choreography, even when it challenges her balance and coordination. She is overwhelmingly positive and constantly looking for ways to adapt activities to participate in them. The Wallmans Lawyers Academic Achievement Award recognises the consistent academic excellence of a Novita client over the age of ten. 17 year old Emily is in year 11 at St Aloysius College. Emily lives with cerebral palsy, which makes some everyday tasks difficult. Emily enthusiastically pursues her goals and has always been driven to succeed through hard work and fortitude. At a school camp in the Flinders Ranges, Emily showed great determination by climbing St Mary Peak independently – a feat that took eight hours to complete. Emily is a keen swimmer and has been selected to represent South Australia at multiple national swimming events. 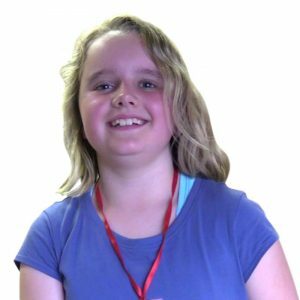 Outside of school, Emily was named as a finalist in the Focus on Ability national film festival for a video she created called “Do not underestimate me”, which was about her disability. The Tyndale Youth Transition Achievement Award acknowledges a Novita client who has completed their education and successfully transitioned to post-school options, such as tertiary education, or employment. 23 year old Yasir left Afghanistan with his family in the year 2000. They fled to Indonesia and boarded a boat for Australia. They were intercepted by Australian authorities and detained before being able to enter the country. Yasir lives with cerebral palsy and has undergone surgical interventions including many hours of rehabilitation and support. Yasir went to Blackfriars Priory School, where he was a popular student and Year 12 Prefect. He has since completed university, with a double degree in arts and psychology. 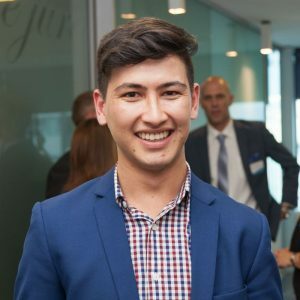 Soon Yasir will start work experience at SAHMRI in their Human Resources department. He wants to work in this area or do further study to become a clinical psychologist. Yasir also enjoys playing table tennis. 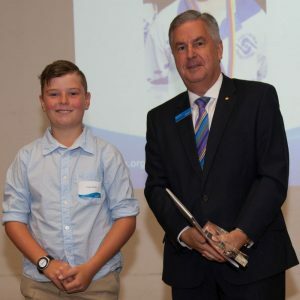 He has represented South Australia and Australia in tournaments around the country and overseas, and represented Australia at the Arafura Games, Oceania Regional Championships, and travelled to Thailand numerous times. Yasir is also a member of the Paralympic Preparation Program (PPP) high performance squad.